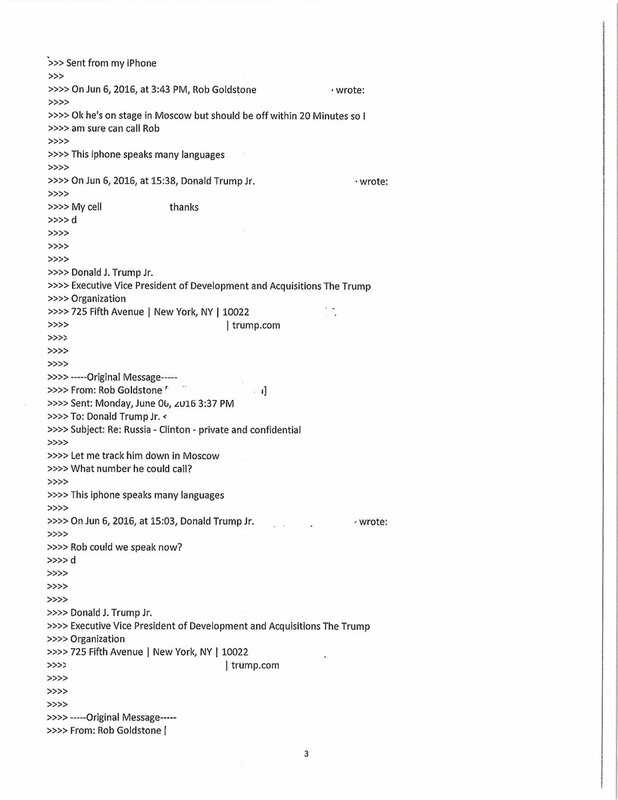 It’s hard to believe the attorneys for Donald Trump Jr. were okay with his release the email chain embedded below —and if they did…it’s evidence for their disbarment hearing. 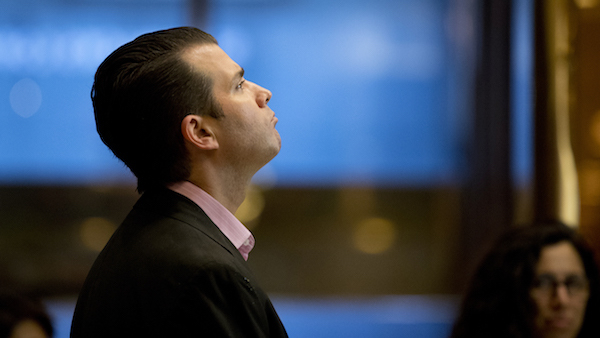 On Tuesday morning Trump Jr. released the email chain reported by the NY Times on Monday saying that before Jr, Kushner, and Manafort met with the Russian Lawyer to get opposition research, he knew that Russia was helping the Trump campaign. The email chain does contain that information, BUT Goldstone does not offer proof that the Russian Govt. was involved. Additionally Trump Jr. does not offer the quid pro quo that would classify the meeting as illegal collusion. The very first email sent by Rod Goldstone we says that the Russian govt. was favoring the Trump campaign. Goldstone told Jr. before the meeting that the attorney he was about to meet with worked for the Russian Govt. 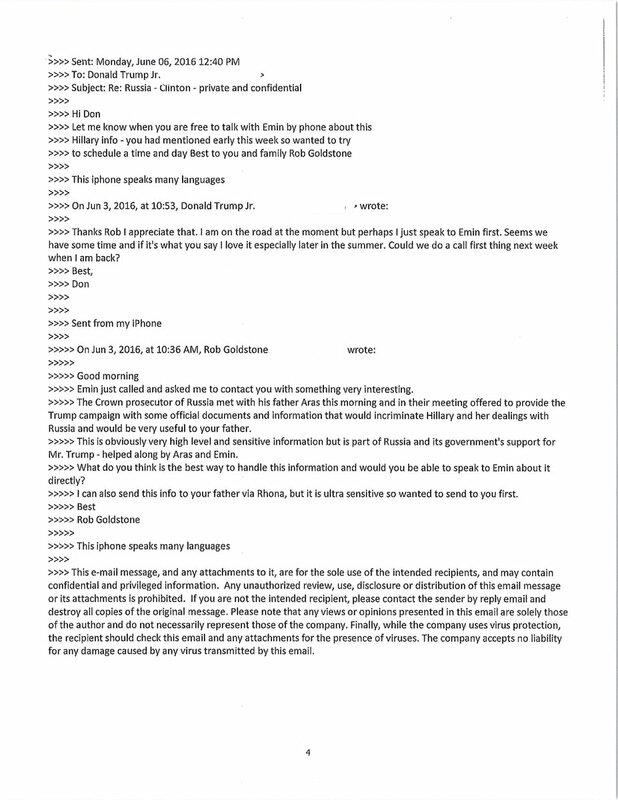 The lawyer says she wasn’t involved with the government, but based on the emails, the only thing Trump Jr. would have known was she did work for the government. 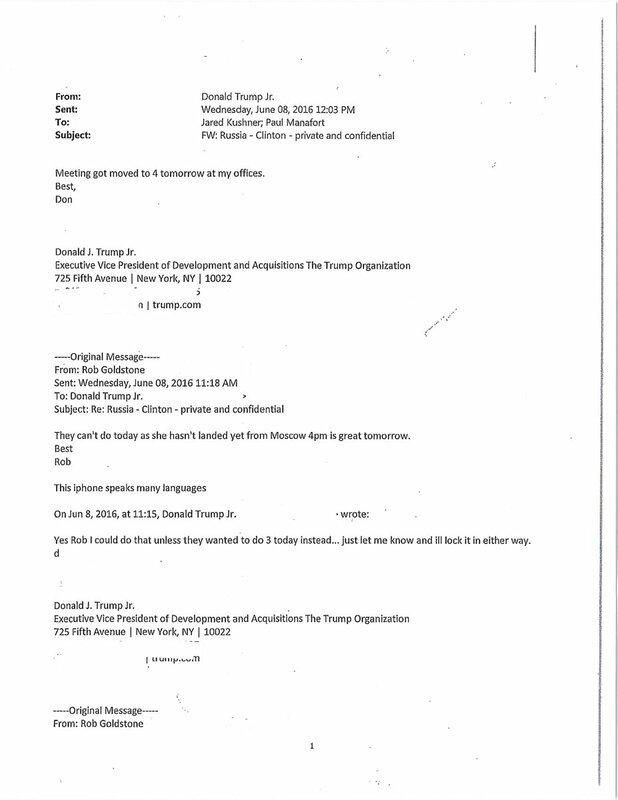 Donald Trump Jr’s note about releasing the emails, and the full emails are embedded below. They are not incriminating–it is all about getting opposition research. There nothing saying they were passing along information stolen from the DNC or Jon Podesta. Both Donald Trump Jr. and Rob Goldstone say there was no opposition research passed along the discussion it turned out to be about the adoption. In the end, the information released by Donald Trump Jr. today is not evidence of illegality. It is evidence of really bad judgement. Perhaps Donald Trump Jr., a political novice wouldn’t know not to take that meeting, neither would Jared Kushner. 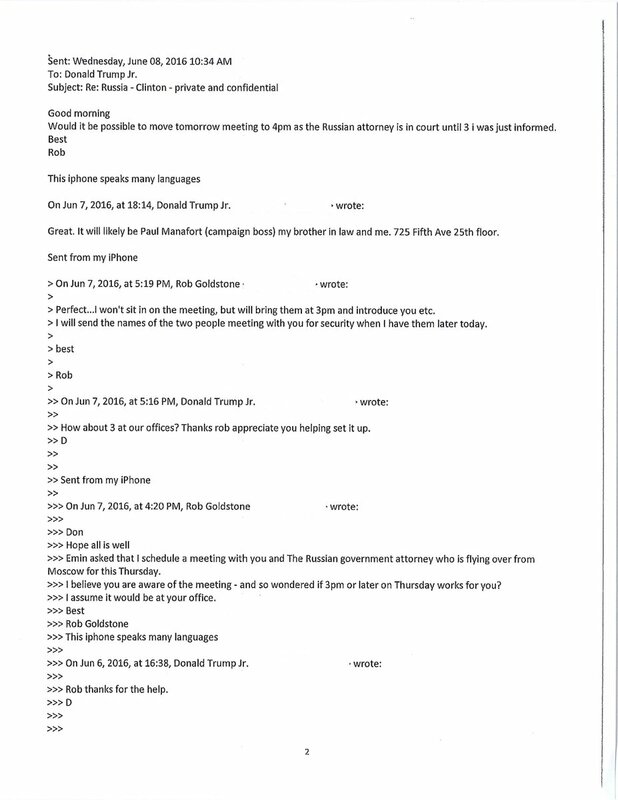 Any businessman would take such a meeting especially since the introduction to the meeting was made by someone who Trump Jr. worked with and knew. The real mistake was made by Paul Manafort, who was hired for his experience in national political campaigns (and was on the CC list for these emails). Manafort should have known better. This email release serves to feed the Democratic Party and MSM story about Trump and collusion which will allow the Democrats to continue pushing back against the president’s agenda–but it does not prove that anything illegal was done.